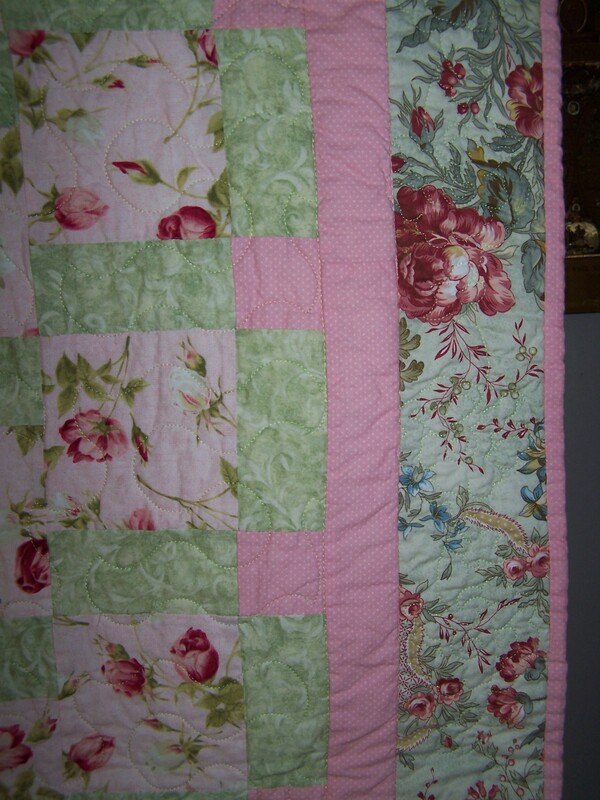 This quilt kit came with the pink rose and pink dot fabrics as well as the center, mottled green fabric but I added the border fabric so I could make the quilt a little larger. 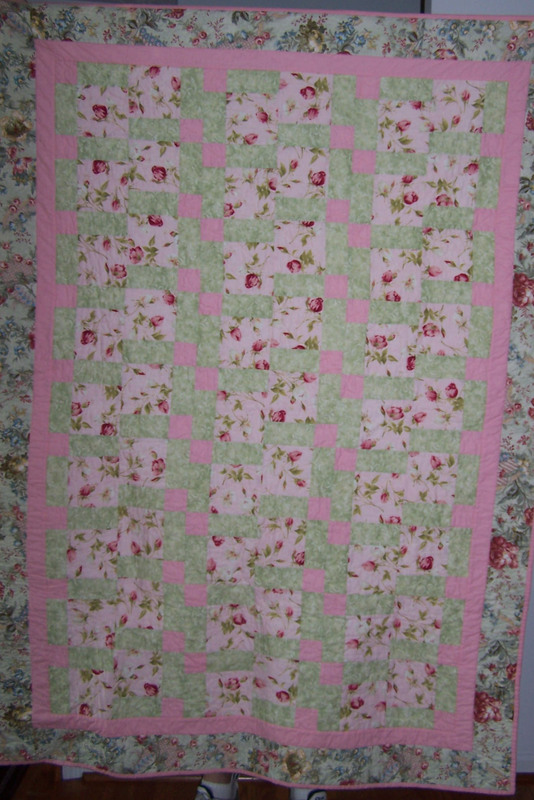 I used the “curly arcs” design for the main part of the quilt and then a pattern called American Urban Rose for the border. It came out beautifully!